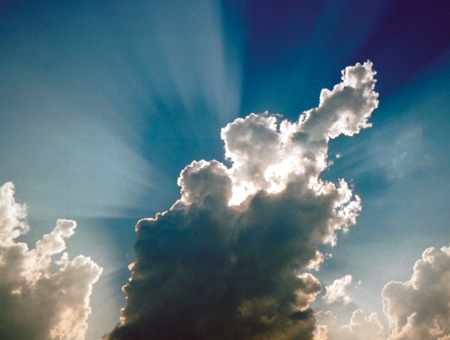 “Every cloud has a silver lining”….. although empirical evidence has yet to bear this out. Yesterday I mentioned that I might need to find a new place to live. These fears have come true after a most unpleasant meeting with the management of my apartment complex. They want me out now and threatened my career. This complex is apparently for “poor” people and I am just way too rich as a NYC public school teacher to live here. Yet, all of the new tenants moving in are NYU students paying six-figure tuition. Does this make any sense at all to anyone? Those who know anything about New York housing laws are encouraged to contact me at theassailedteacher@gmail.com. Yet, there is a silver lining. A real estate agent I met years ago who survived a similar cancer to which my beloved mother succumbed said she has a nice, reasonably-priced studio with my name on it. My cat and I do not require much space and her studios are usually large. This looks like my next residence when all is said and done. This will certainly mean some quiet days on the blog, but I will do as much as I can here. Once a day is still my goal, no matter what is happening on my end. That is because, for me, it is all about keeping it going in the face of adversity. This apartment experience has been a nightmare, but some very good people have stepped up to help me. A silver lining can be found anywhere, which brings me to the issue of the day. The Daily News has been a frequent target of criticism from outspoken NYC teachers, me included. I am sure we will all have a reason to quibble with them in the future as well. Over the summer I had a long breakfast with Ben Chapman, the Daily News reporter who has written some articles with which I have taken issue. We ended things on a handshake and I give him credit for coming out to meet me. Over the past few days, the Daily News has written some good articles exposing the unseemly financial machinations at the DOE. First, it was Bloomberg’s showcase schools getting a disproportionate amount of funding while every other school starves. Two days ago, it was the financial rat hole of Joel Klein’s pet project known as School of One. Norm over at Ed Notes has already written a good piece about it, with some of the usual inside tidbits only he can provide. Leonie over at the NYC Public School Parents blog also had a great piece about it here. School of One was pushed by Joel Klein towards the end of his chancellorship of NYC schools. It is an online math program originally provided by Wireless Generation, the company where Klein went to work after his tenure as chancellor was over. Wireless Gen won a juicy DOE contract for providing the service. Of course, no investigation into the obvious conflict of interest was ever conducted. Even if there was an investigation that turned something up, Klein would have probably gotten a measly $4,000 fine a la John O’Mahoney. See, the way it works is that the faux DOE investigators and arbitrators only terminate teachers, usually for things like spilling milk in the cafeteria. On the other hand, Tweedies like O’Mahoney get $4,000 fines for nepotism, harassment, abuse of power and gross financial malfeasance. It makes perfect sense in North Korea Bloombergland. Since its inception in 2009, School of One has eaten up $9 million. Time magazine heralded it as one of the best inventions of that year. This was representative of the general knee-jerk worship surrounding its advent, something helped along by a nice DOE propaganda campaign. Apparently, technological sycophantism is not just for Khan Academy supporters anymore. Rather than the “flipped classroom” of the Khan Academy, SO1 uses something called “blended learning”, a mix of scripted online curriculum and small-group instruction. The computer was meant to provide the individual support required for struggling students, something a flesh and blood teacher in a class of 30 students cannot do. I will repeat that. The computer, an inanimate box, was meant to provide the individual support struggling students need. The $9 million was spent to “educate” approximately 1,700 students in all, although last year only 800 students were enrolled in SO1. According to my advanced scientific calculations, that is a little less than $5,300 per student for a math course. Compare this to a middle school math teacher making, let us say, $210,000 over three years for educating five classes of 25 students each during that same time. That comes out to exactly $560 per student, nearly 10 times less than Klein’s pet project. So, one thing SO1 is not is cost effective. However, if there is bang for the buck, $5,300 per student is a small price to pay. I would say that our children’s math education is worth at least that, and much more. The Daily News paints a picture of inconsistent results, although they point out it was generally negative. Seemingly to save some precious DOE face, one principal was quoted in the article as saying that SO1 was responsible for the “phenomenal growth” in the 8th grade math exam scores at his school. What was this phenomenal growth? A 5% increase in the pass rate, measured against a city-wide increase of 3%. Wow. That is phenomenal, $9 million dollars-worth of phenomenal. Hopefully that principal gets a cushy desk job at Tweed for his public Klein worship. While the Daily News is right in pointing out the massive waste involved in SO1, they do not go nearly far enough to describe just how massive the waste is. For that, one would have to read Leonie Haimson’s detailed article. The Daily News explains that two of the three schools that used SO1 saw their scores slip over the three year period. Leonie goes into who these schools are: IS 228 in Brooklyn and IS 339 in the Bronx. IS 228 is in the Gravesend section of Brooklyn. There is a multiethnic mix of students from the neighborhood, as well a population attracted from out of the neighborhood. Therefore, it is safe to assume that some students there struggle in math and some do not. This school, according to Leonie, saw their math scores dip a little. IS 339, on the other hand, is on Webster Avenue in the Bronx, an overwhelmingly poor and minority area. This school saw a huge dip in their math scores. To complete the picture, the only school that did not dip was MS 131. That is a school with which I am very familiar, seeing as how it is located in one of my favorite neighborhoods and I end up teaching many of their graduates as high-schoolers. It is the Sun Yat-sen school in Chinatown, a well performing school whose students, as I see first-hand, are mostly well-prepared and motivated. Math scores would have probably risen at Sun Yat-sen with or without SO1. It is just like that AP math teacher from my Brooklyn Tech days who did not teach a lick of math and still his students scored 4s and 5s on the AP exam. Sun Yat-sen kids are Sun Yat-sen kids and Tech kids are Tech kids. What that means is that they will succeed either with the help of a great teacher or despite the presence of an awful teacher, whether that teacher is made of flesh or circuits. To top it all off, the principal of Sun Yat-sen dropped the SO1 program after the first year. Therefore, the only gain SO1 could point to is for one isolated year with a group of students generally non-representative of the general student body of NYC. Is this the future of math education, as Time magazine and other technological lickspittles told us it was? Students who came to SO1 with low prior performance were exposed to approximately twice as many below-grade-level skills, compared to those who came with higher performance levels from prior grades. … However, these students mastered less than 15 percent of the skillsto which they were exposed (as measured by SO1’s daily assessments), compared to approximately 85 percent mastery for students who entered with higher prior performance. These results fly in the face of the DOE’s I3 application, which said it should be awarded extra points because it would provide special benefits for struggling students. Italics are Leonie Haimson’s words. Could Bloomberg, Klein, Time Magazine and the Sal Khan ilk of education “reformers” who kneel before the pixelated image all have been wrong? Could this $9 million blended learning program not really be the future of math education? Yes. The only problem is, this is not a just a $9 million program. It is a $46 million dollar program because, this year, the DOE is bringing SO1 into more schools, four to be exact. Yes, a program that not only does not work, but does the total opposite that its sycophants claimed it would do, is being foisted upon more struggling students around the city. As Norm points out at Ed Notes, one of those schools is IS49SI, the school of Francesco Portelos, a dynamic STEM teacher whom I recently had the pleasure of meeting that was recently rubber roomed for daring to question his principal as to the whereabouts of school funds at SLT meetings, even though that is exactly why SLT meetings exist in the first place. Essentially, they lose Portelos and gain a completely useless system for 10 times the price. Looks like he was onto something when he smelled misappropriation of funds in the air, which is exactly why he was rubber roomed after all, it would seem. This is a whopper of a story for many reasons: the fact that struggling students are knowingly being hurt with destructive “learning” programs foisted upon them by those who, around 10 years ago, promised to be held accountable for the education of NYC students; the conflicts of interest not only with Joel Klein-Wireless Gen, but with SO1’s new provider, New Classrooms, headed by a man named Joel Rose who also worked at Tweed. This is an incestuous hornet’s nest of corruption. The biggest tragedy of all, in my mind, is what the DOE could have done with $46 million if it cared one iota about actually educating students. First, Bloomberg could have plowed that money into the schools he is starving of funds like a North Korean countryside just so he can fatten up his Pyongyang showcase schools with cash. The DOE could have hired tons more teachers, providing one of the only proven education reforms out there: lowering class sizes. Just think of it, use $46 million dollars to hire new teachers and put the veteran ATR teachers back to work teaching their subject areas and, not only do you have lower class sizes, but you have the second proven education reform: experienced teachers. As the financial debauchery that is School of One illustrates, the “achievement gap” could have been taken care of decades ago by ponying up the money to keep on veteran teachers (not harass them out of the system) while lowering class sizes. Time and time again, the DOE and large urban school districts across the nation prove that pulling in education dollars is easy in both boom times and lean times. In NYC, there is not only $46 million for SO1, but $83 million for ARIS and hundreds of millions for charters (including untold millions into the pockets of corrupt charter school CEOs). And these are just the huge fish. What about the explosion of DOE management jobs out of Tweed, where everyone makes six figures and up? What about the explosion of principal jobs and other administrators due to the Bloomberg/Klein/Gates small schools initiative, where buildings that used to have 7 principals at most now have 15? What about the expansion of Richard Condon’s office with burned out NYPD and suburban detectives who now regularly harass, intimidate and frame teachers under investigation? What about the expansion of 3020a arbitrators who get paid $1,800 a day plus expenses, hired so Bloomberg could ostensibly clear out the rubber rooms that were such an embarrassment to him? There is no financial crisis in education. The money is flowing more than ever. The only problem is it is not flowing to students at all. One of the most common comments I read on the internet during education debates is how people are of sick of teachers crying for “more funding”. They look at the budgets and see them more bloated than ever and ask how teachers can want more. Teachers are not crying for more funding. They are crying for the funding that is already there, already in the system, to reach the students. Getting rid of programs like School of One and ARIS, getting rid of the entire Tweed building, getting rid of small schools and the Leadership Academy administrators that misrule them, getting rid of the phony kangaroo court for teachers and putting all of those hundreds of millions of dollars into a big city pot so that every school can implement the two real reforms (smaller class sizes and veteran teachers) proven to work, would whip this school system into shape in a matter of weeks. The achievement gap would be narrowed in five years. Most of all, none of it would cost more money. It would cost not one red cent to the taxpayer at all. So, I suppose these are my silver linings. There is no budget crisis, just a crisis in budgeting, The Daily News did not go nearly far enough into the disaster that is School of One, but they went some ways in. Finally, today is when we start what we love to do for the year: teach. For the minutes and hours that we are in front of our classrooms, we can at least put the odious corruption of Bloomberg out of our minds and show the “reformers” how it is really done. This entry was posted in An Embattled Career, education reform, Parallel Universes, Politics, School, teaching and tagged Ben Chapman, Daily News, Education Reform, Educaton, News, Online Learning Fraud, School, School Funding Corruption, School of One. Bookmark the permalink. … oh, if only; the thing is that all that extra money is ‘market’-money, it is tainted money because it’s in there for the contract – NOT THE SERVICE. Funding for education [and all public service – I’m speaking of the UK, by the way] has consistently been cut for quite a few years, and yet there are more and more ‘opportunities’ to bid for money, but it is money that is both ring-fenced and ‘buys’ you (obliges you) into performing and accounting for yourself in a very prescribed and pre-sumed way which is wholly antithetical to the craft of teaching in the first place. As I will often quip over at ghostteachers.wordpress ‘business into education DON’T GO’!